A little icy sparkle drop from your ears. 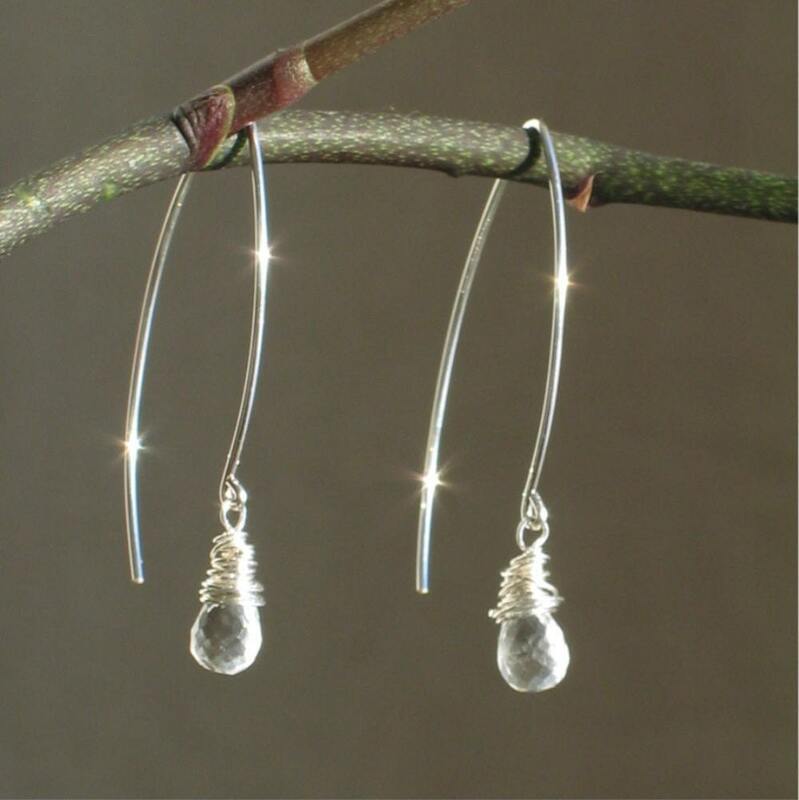 Faceted crystal quartz briolettes are topped with organic wire wrapping using fine sterling silver wire for sparkly dangle earrings. 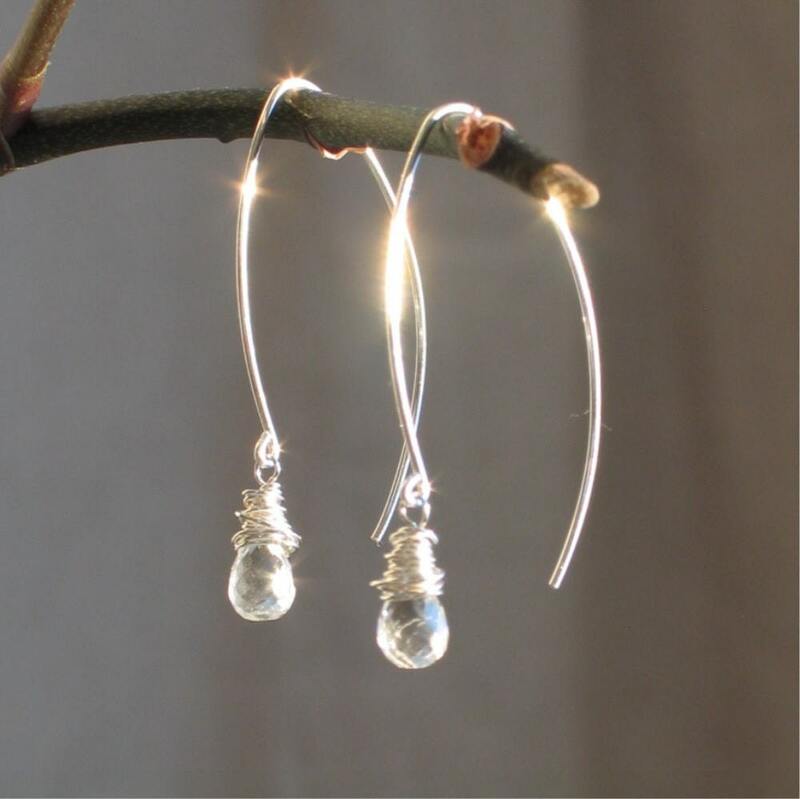 Hand formed sterling silver ear wires are about 1 5/8” long from the top of the wire to the bottom of the sparkly clear stone. Earrings are shipped with clear silicone ear wire clutches. The wonderful “sparkles” in some of these photos happened when the rising sun hit the polished silver and the title was a natural after that! 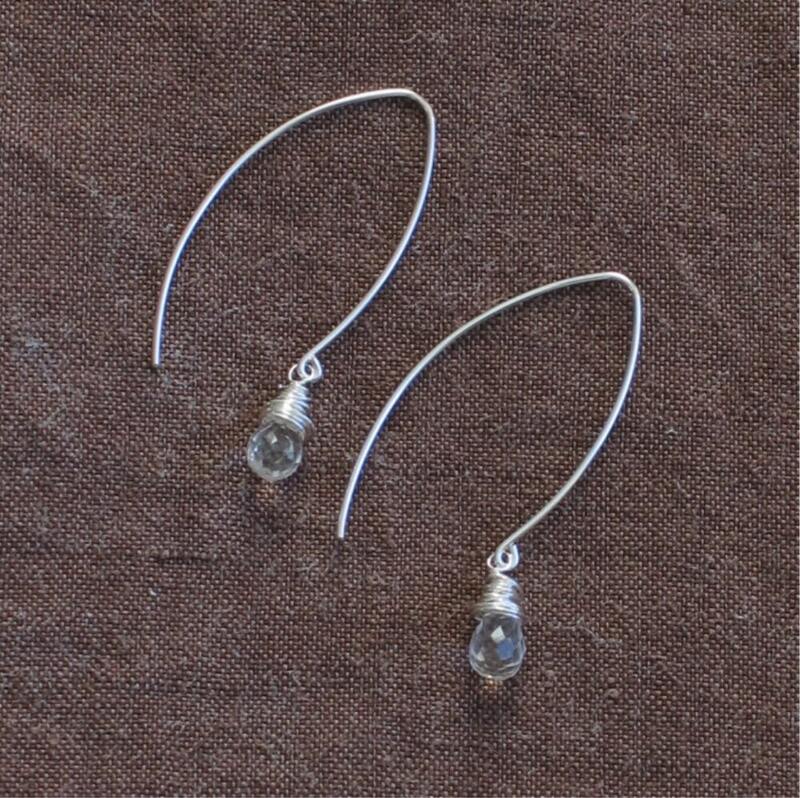 Petite briolettes, well cut, of clear crystal quartz. One of my most popular designs, I'm always searching for high quality hand cut rock crystal quartz to keep this design available. WillOaks Studio earrings are packed in my signature box all ready to give or to keep. Earrings are stunning! Love them, Thanku! Beautiful as shown, quick shipping, would do again!